Regia 6451 Jazz Colours, Somethin' Else, by Erika Knight. 4 ply sock knitting yarn by. 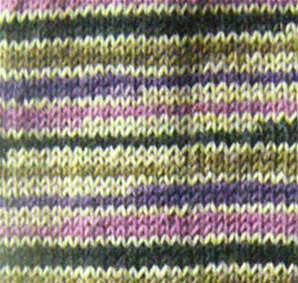 Irregular stripes in brown, oatmeal and violet. Unbeatable quality 75% wool/ 25% nylon. 50g balls (210m).